On Thursday, R&B crooner Marcus Canty was eliminated on the X-Factor. Canty, who was selected by L.A. Reid to be in the final 12, found himself in the bottom two with the soulful Josh Krajcek. Canty accepted the elimination with grace and dignity. Canty, a resident of Baltimore, MD, no doubt has enormous talent. He was no stranger to the bottom 2 having survived it 3 other times to compete in the semi-finals. Unfortunately, his fate ran out to the superior vocals of Melanie Amaro and Josh Krajcek or the popular appeal of Chris Rene. We decided that a glimpse into Canty’s musical future was in store! Note: The King of Swords and the 2 of Swords above are actually reversed, but we left them upright to clearly see the imagery. I must admit that I was a little concerned when these three images appeared. None of them look like a happy time for Marcus and if I was doing an actual reading for him, I would probably discuss making sure he knows what he is getting involved with before he signs any dotted line. The 8 of Cups was expected. He has been eliminated from the competition and is now walking away. He could experience a bit of depression or disappointment about the decision and needs to look inward before making any forward movements. I would suggest that Marcus take a bit of time off and do some soul searching. Does he want to be a pop singer or does he want to be a gospel singer? He needs to decide his own path. The next card that I turned over was the King of Swords Reversed (Rx). This is not a great card to receive in any industry much less the music industry. Marcus needs to be very careful with who he deals with as unscrupulous people may be around. Since the King of Swords has much to do with the sign of Libra, legal problems or improper legalities may be involved. The final card I drew was the 2 of Swords Rx. This is the traditional card of the stalemate, but in this case the card is reversed. Many tarot readers focus on the blind fold on the card to represent not being able to see through a situation or inability to make a decision. Reversed this card means making a decision, but it could ultimately be the wrong one. Also, this can be a card that signifies betrayals. To be forewarned is to be forearmed. Although I doubt that Marcus will read this blog (after all he has better things to do than surf the internet), if he does happen to run across this or it is forwarded to him, I would recommend that he proceed with severe caution before making any decisions. In addition, I would suggest that he has his entertainment attorney go over any form of legal contracts with a fine tooth comb. The world of tarot is a fascinating and exciting discovery. The tarot can answer virtually any of your questions about life. Our advisors have come across a resistance to tarot, and mainly because it is deeply misunderstood, yet the tarot is probably one of the best psychic tools on the market. 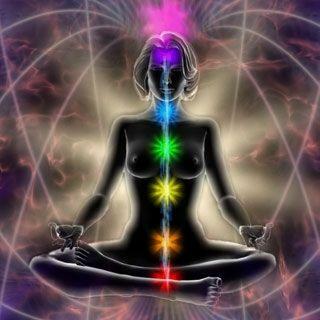 In fact, many psychics will use the images of the tarot to jump start their intuitive feelings and use it was a doorway to psychically connect with their clients. Our advisors believe that the problem with tarot resides in the fact that those that become interested in tarot are overwhelmed by the number of decks on the market. Some of them are very hard to understand are best for advanced readings. Rider Waite Smith – The Rider Waite Smith deck is the most popular tarot deck in the world. Designed during the earth 20th century by Pamela Colman Smith under the direction of occultist Arthur E. Waite, the RWS deck is the father of all beginner tarot decks and the inspiration for hundreds of new decks called “RWS clones”. 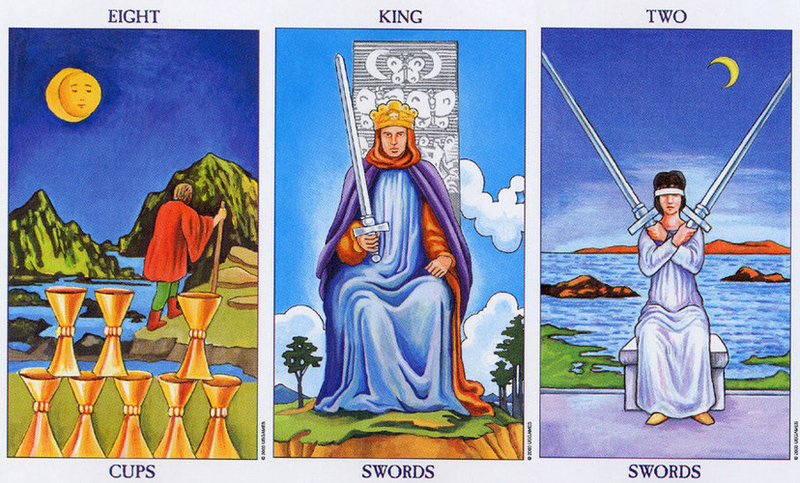 Many of the beginner books on tarot use some derivation of the RWS decks in their illustrations. This is an incredible beginner’s deck for someone who wishes to seriously study tarot. Gaian Tarot – The Gaian Tarot was released in 2011 by Joanna Powell Colbert, and is very popular with the bulk of the tarot community. Although the Gaian Tarot follows a numerical sequence consistent with most tarot decks, it diverts from traditional scenery in favor of a more nature oriented deck. Although you could successfully use this deck to predict, the primary tone of this deck lends itself more towards healing and introspection. The Gaian Tarot is an incredible deck for those that want to use tarot for journaling work. Legacy of the Divine Tarot – The Legacy of the Divine Tarot was created by award winning graphic artist Ciro Marchetti. Although Mr. Marchetti claims that he is not a tarot reader, his understanding of tarot’s depth and nuance are noticeable and leads one to believe that he is just being humble. The images (for the most part) follows an RWS format, yet are created with stunning imagery and colorful hues. If you are interested in beautiful tarot cards this is a highly recommended deck. The Gilded Tarot – The Gileded Tarot (like the Legacy of the Divine Tarot) is designed by Ciro Marchetti and was his first leap into the artist world of tarot. The Gilded Tarot is a traditional RWS clone with stunning CGI graphics. The text for the Gilded Tarot was written by accomplished tarotist and author Barbara Moore. The companion book describes the cards and provides significant information for interpretation. Tarot of Ascension – The Tarot of Ascension is a deck released in 2010 by Lo Scarabeo. This deck focuses around the ever popular Mayan Calendar lore, and the belief that the world will enter into a spiritual enlightenment in 2012. If you are interested in what spiritual ascension and enlightenment then this deck is the one for you. This deck is great for predictive work or self-discovery readings. 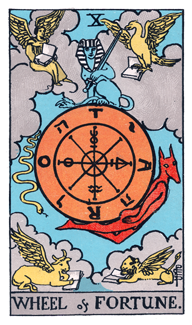 Wheel of the Year Tarot – If you are attracted to Pagan or Wiccan themes this deck by Lo Scarabeo is a great tarot beginner’s deck. The deck created in vibrant watercolors reveals our yearly passage of the seasons and what seasonal symbolism means on an inner level. This deck is great for predictive work or those experiencing health or aging related issues. The Wizard’s Tarot – This deck was designed by prolific tarot author Corrine Kenner. If you are a fan of the Harry Potter series the themes within the Wizard’s Tarot may speak to the adventurer or the hero in you. The cards are done in beautiful CGI graphics and the book penned by Kenner is one of the best books packaged with a tarot deck. The Wizard’s Tarot is excellent for any type of tarot work. The Fairy Tale Tarot – Are you one of the 10 million fans of ABC’s “Once Upon a Time?” If you are, you will surely enjoy this deck! The Fairy Tale Tarot was designed by one of the best tarot artists of our time – Lisa Hunt. The deck takes you through the world of Fairy Tales, and introduces you to the inner meaning of these timeless stories. This is an incredible deck for children or those interested in self-discovery. The book included with the Fairy Tale Tarot is a must for any tarot library. The Mythic Tarot – Originally published in the 80’s, the Mythic Tarot was re-illustrated as the New Mythic Tarot and released again in 2011. The images now in CGI graphic (the most popular new medium of tarot) are vivid and colorful. The Mythic Tarot explores the world of Greek Mythology, and is one of the best decks for predictive and psychological work. The deck includes (probably) the best book written on tarot penned by Liz Greene and Juliet Sharman Burke. The Sharman Casseli Deck – This is the most recent deck designed by Juliet Sharman Burke (co-creator of the Mythic Tarot) and illustrated by Gionnani Casseli. This deck is a very close Rider Waite Smith clone stripped of its excessive religious symbolism. For those that are interested in studying tarot and NOT esoterica this is an incredible all-purpose tarot deck. These are our picks for the Top 10 Tarot Decks for Beginners. If you have one of your own – feel free to post in the comments below.